The domaine has enough Clos de Vougeot to make two tanks of it, one including stems during the vinification the other without. The two are then blended together and they have made a brilliant wine in 2008. Dense colour with mid-purple centre. The bouquet is magnificent without being over showy, a complex compound of red and black fruit, subtly nuanced thanks to the stalks which also add an extra layer of texture. There is a magical long graceful finish, with seamless tannins. Drink 2013- 2020. 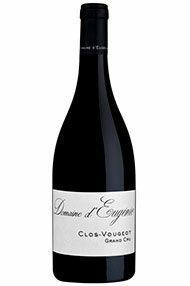 The Wine Advocate - Tasted at the domaine, the Clos Vougeot 2008 takes time to coalesce in the glass, but it has a strict, undergrowth-tinged bouquet with a touch of pain grille. The palate is well balanced with ripe red-berried fruit, hints of espresso just in the background with a caressing finish that has gentle grippy tannins. Forward, generous and packing a punch, this should be cellared for 4-5 years. Burghound - In contrast to the openness of Grands Echézeaux and Echézeaux wines, Clos de Vougeot Grand Cru is closed and still quite tight and only aggressive swirling liberates a spicy mix of earthy red berry fruit aromas that are very much in keeping with the earth-suffused, serious and strikingly textured full-bodied flavors that possess plenty of sève and a moderately austere finish. In sum, this is an outstanding Clos de Vougeot though one that will require ample patience. Domaine d'Eugénie is the reincarnation of the famed Domaine Engel. 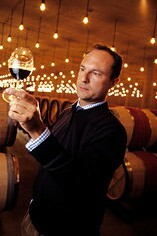 After the tragic early death of Philippe Engel in May 2005, his family decided to sell the domaine. The highest bidder was François Pinault, owner of Château Latour in Bordeaux, whose right-hand man Frédéric Engerer had long had a passion for burgundy. The 2005 harvest had already been sold off in bulk, but the new team, including young vigneron Michel Mallard from Ladoix, made the 2006, 2007 and 2008 in the Lupé Cholet headquarters in Nuits-St-Georges. From 2009 they have moved into the now refurbished Clos Frantin buildings in Vosne itself. Yields are significantly lower than in Philippe’s day and the vineyards have been meticulously looked after, including a substantial programme of replacing missing individual vines, which will be picked separately and declassified into the village Vosne in their youth. 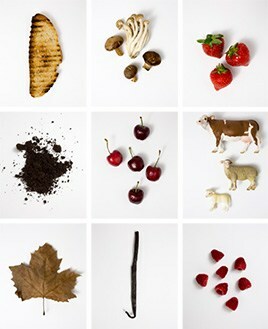 The principal decision is whether or not to keep any stems. None were retained in 2006, but an experiment with one of the two fermentation tanks of Clos de Vougeot the following year was positive, the blend of half with and half without stems showing textural qualities and a sense of energy over and above either individual version. The experiment has been continued in 2008 and extended to the Grands Echezeaux. Otherwise, the grapes are vinified in fairly classical manner, with a preference for punching down rather than pumping over, then matured in barrel for a minimum of 15 months (village Vosne), or rather longer for the grands crus which receive around 80% of new wood. The first vintage released by the Domaine was in 2006. The highly impressive 2007 vintage is a truly representative vintage for Domaine Eugenie, showing each of the vineyards in its true guise. Most of the wine produced in this small village comes from a single, walled Grand Cru vineyard, the famous Clos de Vougeot. The vineyard in its present form dates from 1336 (when it was first planted by monks of Cîteaux), although it was not until the following century that it was entirely enclosed by stone walls. Clos de Vougeot is both the smallest commune and the largest Clos in the Cote d’Or. It consists of 50 hectares of vineyards shared among 82 owners, with six soil types. There is quite a difference in quality between the upper (best) and lower (least fine) parts of the vineyard, though in medieval times a blend from all sectors was considered optimum. Le Domaine de la Vougeraie makes a very fine white wine from Le Clos Blanc de Vougeot, first picked out by the monks of Cîteaux as being suitable ground for white grapes in the year 1110. Recommended producers: Domaine de la Vougeraie, Domaine Bertagna, Engel, Anne Gros, Grivot, Liger-Belair, Meo-Camuzet.